Kevin was always different. He loved animals and seemed to understand their secret language. But other children brought out the worst in him. He chased, bullied, and shoved, until one spring when he learned an unforgettable lesson from an unlikely teacher--a blackbird who built a nest in his hand. The Blackbird's Nest: Saint Kevin of Ireland is the story of Kevin's transformation into one of Ireland's best-loved saints (AD-618), revered in many Christian traditions. 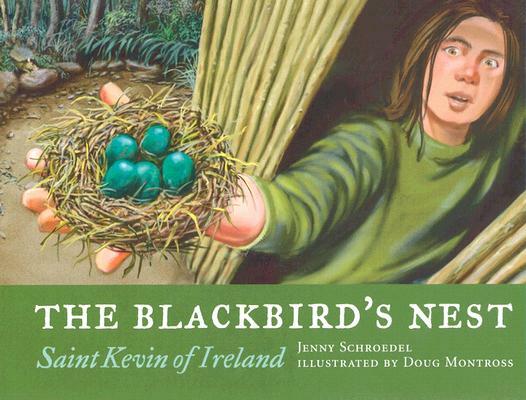 Written with simplicity and humor by Jenny Schroedel, and brought to life with stunning illustrations by Douglas Montross, The Blackbird's Nest is a rich, vibrant tale of renewal and a welcome addition to children's lenten literature. Blackbird's Nest by Jenny Schroede was published by St Vladimir's Seminary Press,u.s. in January 2004 and is our 63638th best seller. The ISBN for Blackbird's Nest is 9780881412581. Be the first to review Blackbird's Nest! Got a question? No problem! Just click here to ask us about Blackbird's Nest.